The patchwork of state laws pertaining to marijuana continues to be subject to even more stitching. Among those currently weighing big changes are Ohio and Vermont, which are both considering legalization. It’s worth noting that medical marijuana has been approved in Vermont since 2004, but it’s still outlawed for all purposes in Ohio. In Vermont, the current approach to legalization of recreational marijuana is somewhat novel in that it involves a new bill submitted through the state legislature. All other successful efforts at passing a recreational marijuana law have been passed via a referendum put to the voters. In this case, Senate Bill 95 would allow for the legal possession, use and sale of recreational marijuana for persons over the age of 21. 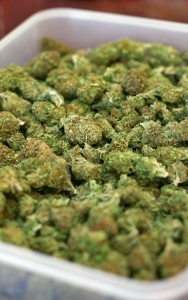 Adults would be allowed to have up to one ounce of marijuana for personal use, and they could grow up to nine plants (seven immature, two mature). Cultivators would be allowed possession of those nine plants, plus whatever harvest those plants yielded. Only cultivation in secure, indoor structures would be permissible. While smoking the substance would be banned in public places, non-residents would also be allowed to purchase up to one-quarter of an ounce from a properly-licensed shop. Taxes ranging from $14 to $40 per plant would be imposed, and a little less than half of the revenue secured through taxation would be funneled into substance abuse treatment services, medical cannabis research and public education programs geared toward addiction and drug abuse. Lawmakers who back the bill say the measure is simply a more rational approach to widespread use. The measure has support from Gov. Peter Shumlin (D), and it’s likely to be passed into law if it makes it past committee. It helps that the state has allowed medicinal marijuana for a decade. The fight may be more of an uphill battle in Ohio. Drafters of the bill, a constitutional amendment, was introduced by an organization called ResponsibleOhio, which advocates for safe access to the drug. The organization has to collect at least 306,000 signatures to get the proposed amendment on the ballot in November. The proposal would call for at least 10 privately-owned cultivation sites in the state, as well as provisions (modeled after the Oregon legalization measure) that would allow for home grow operations. Those operations would have to be conducted indoors, and those private growers could only cultivate for personal use – not sale. Growers would have to be at least 21 and obtain a license from the state to grow up to four indoor plants. Originally, the bill called for a 15 percent sales tax at retail locations, but a revised version is reducing that down to a 5 percent tax. The intention is to keep above-board retail prices competitive with what users could find on the black market. The proposal’s final language also requires the approval of Ohio Attorney General Mike DeWine. Although he can’t reject it on the grounds that it’s a “stupid idea,” (as he stated), he must decide whether the language in the summary of the bill accurately reflects what it would do if enacted. If DeWine approves the language, the organization will need to gather enough registered voter signatures by July in order to be placed on the fall ballot.